Don’t miss my Giveaway at my Youtube Channel to celebrate 2500 Subbies and for your chance to win you can find the deets HERE! 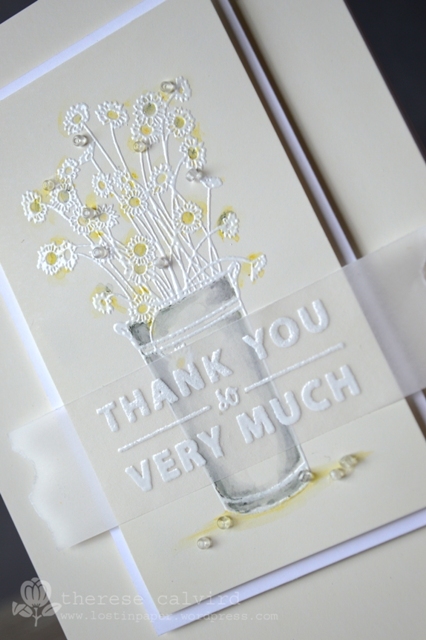 Playing with my Inktense pencils and some pretty Penny Black products, I wanted to create a subtle look, so a very simple card today. I filmed as I created so you could watch the process…. I did have a moment half way through where I thought ‘I’m not sure if I like this’, but continued on and am happy with how it turned out in the end. I was inspired by the Curtain Call Challenge and their fantastic Inspiration photo, even though we are in the middle of a heat wave here lol. I would also like to share my card with Simon Says Stamp at their Anything Goes Challenge this week! Other Supplies: Inktense Pencils – White, Charcoal Grey, Neutral Grey, Mustard, Sicilian Yellow. < Previous Youtube 2500 Subscribers Giveaway! Very pretty card. Like the watercolor look you got, along with the awesome sentiment stamped in bold white! TFS! Great use of the neutrals Therese. Such beautiful coloring. Gorgeous card! I love the white embossing on the vellum and the subtle color scheme. Lovely understated composition, those beads are very stylish and finish the card beautifully. Your work is so versatile! 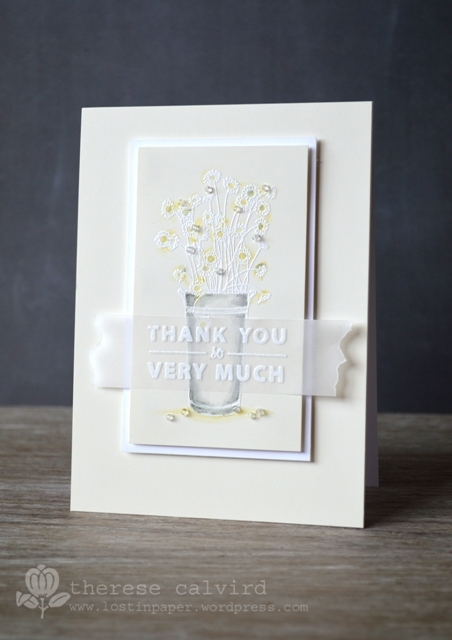 Sweet and subtle, beautiful card! Gorgeous take on the inspiration photo, Therese! I love this color palette so much, and your design is so elegant! A heat wave? Oh my, it’s 20 degrees outside…I suppose both extremes have their drawbacks, right? Wow! This is gorgeous in the soft neutrals! 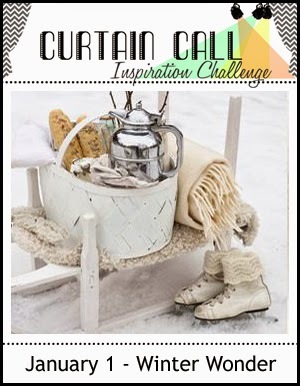 Thanks for linking up to the Curtain Call! Wow, this is so pretty. I love the vellum, too. Subtle and lovely. The vellum sentiment works really well with your muted colour scheme. So soft and so elegant ! Terese love your design! Thank you for sharing with us at the Curtain Call!